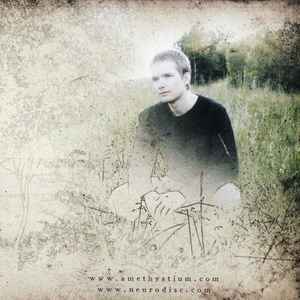 Amethystium is the soundtrack to a journey – between light and darkness, humanity and fantasy. A dreamy fusion of ambient electronica, world music and neoclassical darkwave, the music walks a tight-rope between bliss and melancholy, taking listeners on an emotive escape from the ordinary. Created by Norwegian composer and producer Øystein Ramfjord, and often featuring guest musicians, Amethystium started with the self-released album Odonata in 1999. It quickly garnered a following through word of mouth, receiving over 1.5 million downloads from the old MP3.com site. The following three album releases on Neurodisc Records each spent multiple weeks on the American Billboard charts, and sold over 100.000 copies worldwide. Hello my friend! Please, tell me, why are you not releasing your amazing works on vinyl? This project is owesome, first heard their track Aphelion and fell in love with how it was crafted, one of the best euphoric compositions I've ever heard. Strongly recommended.